Level 8 of Pay Matrix and Level 9 on completion of 4 years in Grade Pay of Rs. 4800/- (PB2)/Level 8. 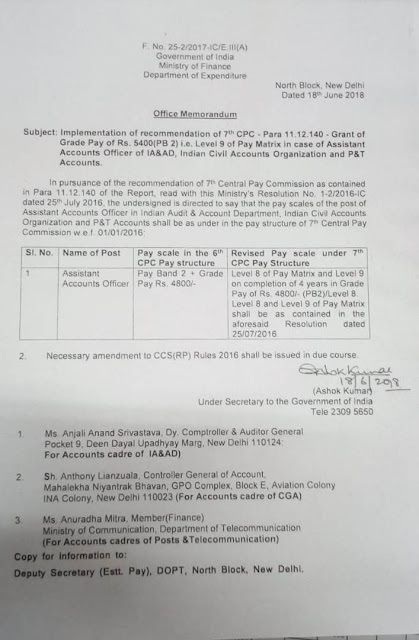 Level 8 and Level 9 of Pay Matrix shall be as contained in the aforesaid Resolution dated 25/07/2016.